Peeter Müürsepp obtained his first degree in mathematics from the University of Tartu in Estonia. He has MPhil in philosophy from the same university and Doctor of Humanities in philosophy from the University of Vilnius in Lithuania. Since 2005 Dr Müürsepp has been professor of philosophy and methodology of science at Tallinn University of Technology. He is visiting professor at Peter the Great St. Petersburg Polytechnic University and Shanghai University. Professor Müürsepp has held visiting fellowships at the New School for Social Research in New York City, London School of Economics & Political Science, Roskilde University Centre in Denmark and Helsinki Collegium for Advanced Studies. Professor Müürsepp has published extensively in his main field of philosophy and history of science as well as European studies. He is co-editor in chief of the Baltic Journal for European Studies that is indexed in Scopus. He is the founder and editor in chief of Acta Baltica Historiae et Philosophiae Scientiarum. Professor Müürsepp has been holding numerous administrative positions like Acting Rector and Vice-Rector of a private university. Currently he is Vice-Dean of International Academic Affairs of the Tallinn School of Economics and Business Administration of Tallinn University of Technology and Head of the Department of International Relations at the same School. 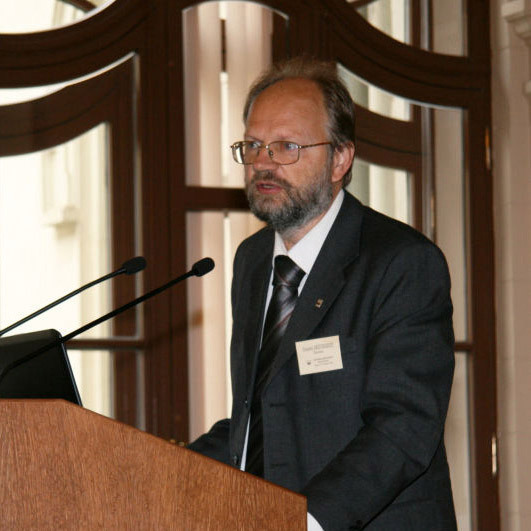 Professor Müürsepp is also the Chairperson of the Estonian Association for the History and Philosophy of Science and the current President of the corresponding Baltic association. He has given numerous talks, several times as an invited speaker at many international conferences and served as symposium organizer or member of organizing committees. More recently, Professor Müürsepp has been involved in fulfilling different projects concerning issues of Asian societies. He has done some research and teaching in cross-cultural management with some emphasis of the countries of the Asia-Pacific region.